Error Console - To ensure web compliance. 1. Click the Safari menu. 3. 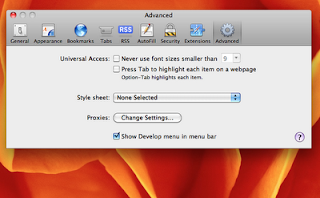 In the Preferences window, click the Advanced icon. 4. 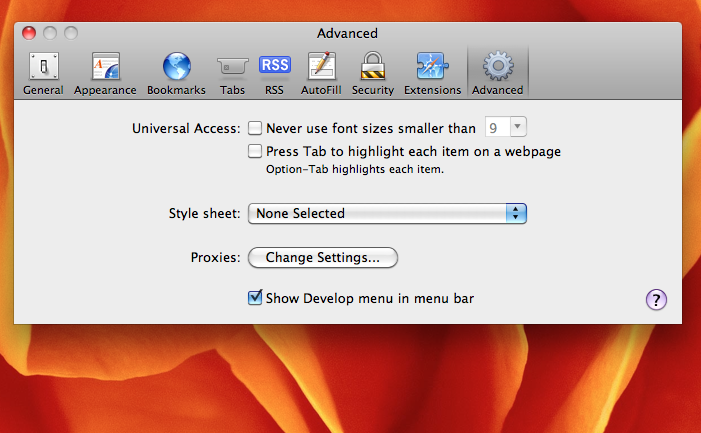 Check the "Show Develop menu in menu bar“ box. The Develop menu now appears on your Apple Safari menu bar. 5. Click the Develop menu. 6. Select "Show Web Inspector."